I saw a beautiful example of a Mark III Zephyr today driven by a very proud man in his 50's with his wife in the passenger seat. Elbow out the window, cruising. The perfect car for the beautiful day in Auckland. Like the one above the car had the split grill denoting it was a Zephyr 6. I like the fins on the Mark III. A little bit behind the times in 1962 maybe but they look very cool. 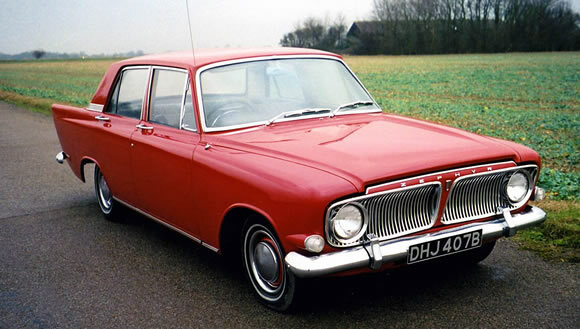 Having put on a lot weight going from the Mark II the 98hp, 2.5 litre 6 didn't really have much of a chance. However, lot of racing drivers did very well with the Mark III by transplanting V8's into them. I read this line in an article on the Independent, "... the Zephyr 6 was equipped with front folding armrest, invaluable for keeping the driver anchored." Brilliant! Read the article here. If you have one of these parked in the garage it's a great time to get it out and start cruising. And if you want to buy on I saw this one, actually two, on Trademe here.